City University London's Centre for Software Reliability will be showcasing its research and course offerings at Europe’s premier annual cybersecurity event. From 2nd to 4th June, City University London's Centre for Software Reliability (CSR) will once more have a presence at Infosecurity Europe, Olympia, London (W14 8UX). City's stand during Europe’s premier annual cybersecurity event will be located at G164. Infosecurity Europe is a platform for the world's foremost information security suppliers to showcase a comprehensive range of products and services. 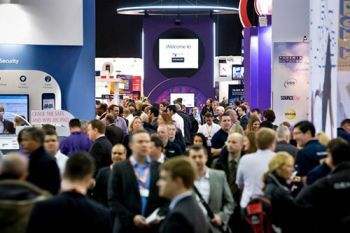 Infosecurity Europe attracts currently active and future security professionals, such as chief information security officers and business managers seeking appropriate solutions for managing risks to their company's assets and reputations. Anchored in City's School of Mathematics, Engineering and Computer Science, the CSR addresses the assessment and assurance of the dependability of socio-technical systems. The CSR also studies the security of the Internet and the Cloud and carries out analyses of cyber attacks. Senior Lecturer in the Department of Computer Science, Dr Ilir Gashi said: "The annual Infosecurity Europe exhibition is an essential event in our efforts to maintain City’s profile within the cyber security and software reliability industry. It is an ideal venue for us to increase public awareness of our MSc in the Management of Information, Security and Risk (MISR) and reinforce our image as a provider of excellent expertise and internationally-recognised research."